Porsche is the overall J.D. Power and Associates Initial Quality Study champ. However, how they won is more amazing. In the new 2013 J.D. Power and Associates Initial Quality Study (IQS) Porsche was the overall winning brand with just 80 defects per 100 vehicles sold. Considering that the average was 113 and the number two brand, GMC had 90, it is safe to say that the win was a solid drubbing by Porsche. However, Porsche does not really compete in any way with GMC. Porsche has just 4 or 5 models (the Boxster and Cayman were separated at birth) and they are relatively unique in their segments. However, Mercedes Benz and BMW do try to offer buyers an alternative to these 4 cars and it were nowhere to be found in the top five brands in terms of quality. 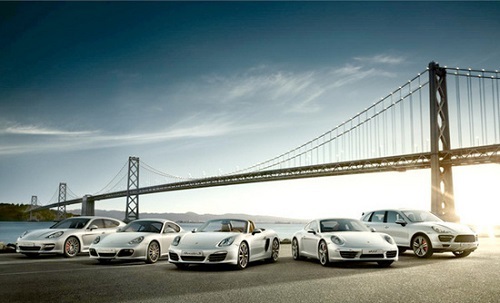 Porsche’s two most notable vehicles are the 911 and the Boxster. Both won their categories outright. The BMW came closest to being in the game against the Boxster earning 4 out of five quality stars with its Z4 roadster. The Mercedes CLK and SL series did not make the top three in this category. Porsche also makes the Panamera, which was listed in the top three of its category. The Panamera competes with the Audi A8 and segment winner the Lexus LS, which is the highest quality vehicle on Earth according to this study. The BMW 5, 6, and 7 series which compete with the Panamera were not listed in the winner’s circle in their class. Nor were the Mercedes E-Class, CLA class, or the S-Class. The BMW X3 and X5 also were not in the top three of their segment. However, the Porsche Cayenne was with 5 quality stars, which in almost all categories gets a full win, but in this category the Infiniti FX and Lexus GX also earned 5 stars and were higher ranked by customers. Mercedes’ GL and other sporty crossovers and sport utility vehicles did not make the top three. The summary of wins here is that Porsche beat its main rivals everywhere it chose to compete. The brand must have a navigation and audio system compatible with its customers' abilities and desires because the J.D. Power summary listed 4 main factors on which cars in general fell behind and they were all infotainment related. Porsche joins General Motors in dominating the segments it finds most important to its business.